$39-Value-FREE - Limited Time Special! FAST FREE SHIPPING TO YOUR DOOR! LOWEST PRICE GUARANTEED! QUESTIONS CALL US 877-667-6289! 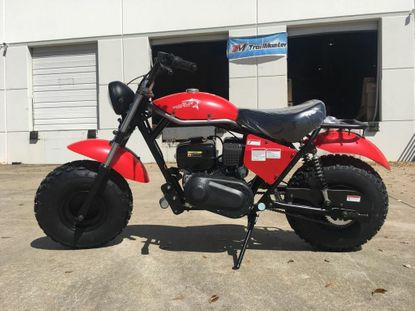 Enjoy this brand new, old school style retro off-road mini bike from Trailmaster. Built with a sturdy steel frame and an upgraded rugged suspension system that can carry up to 200 lbs. The extra wide profile tires are designed so they glide over almost any terrain just like 4-wheelers and other ATVs. The powerful 196cc, overhead valve, air-cooled engine is simple to operate and is very low maintenance. Torque convertor makes all the difference comparing others. New disc brake adds another great feature others do not have! The MB 200 is rear wheel chain driven. This mini bike Includes a single, always-on front headlight for safety, a small cargo rack behind the seat and a rear drum brake for ample stopping power. Rated for a top speed of up to 35 miles per hour! Enjoy hours of fun on TrailMaster's cool new MB200-2 mini-bike. Some assembly required. Available in many color options. 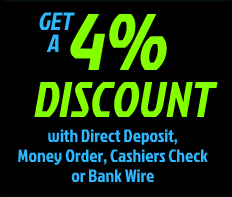 Get all this free stuff you get when you buy a powersports vehicle from Motobuys.com! 1. Free Shipping on all vehicles to your door. 4. Free Manufacture Parts Warranty* . 5. Free Tech Support from our Certified Techs. 7. Free MSO for DMV vehicle registration documents.